Facilitates change to another computer science course after first year. Students available each year from January for up to 9 months. Undergraduate degree transition schedules for the 2017/18 academic year. 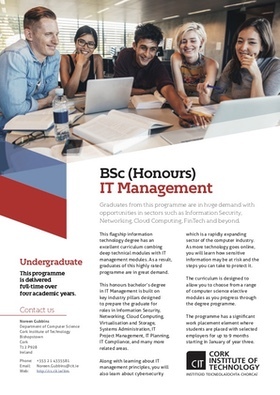 The Department of Computer Science offers both Software and Information Technology (IT) degrees. Please click on the following links for detailed infomation about each category. 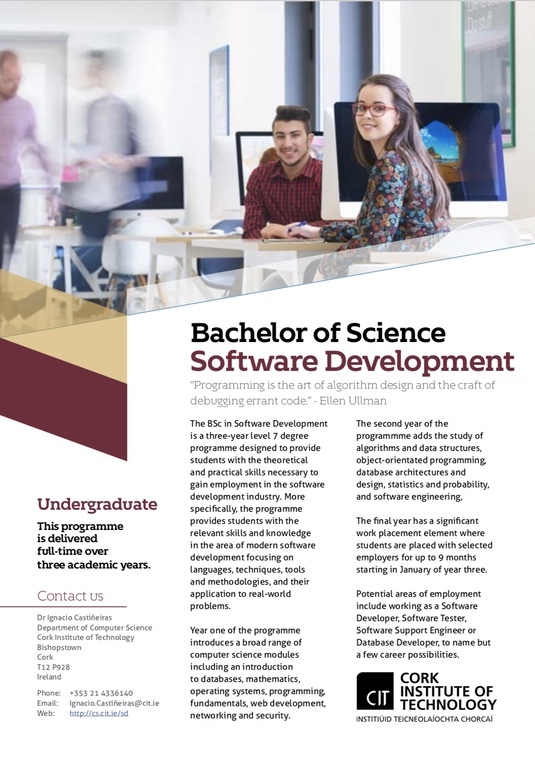 In software, we offer three full-time level 8 honours degree programmes and one level 7 degree programme. 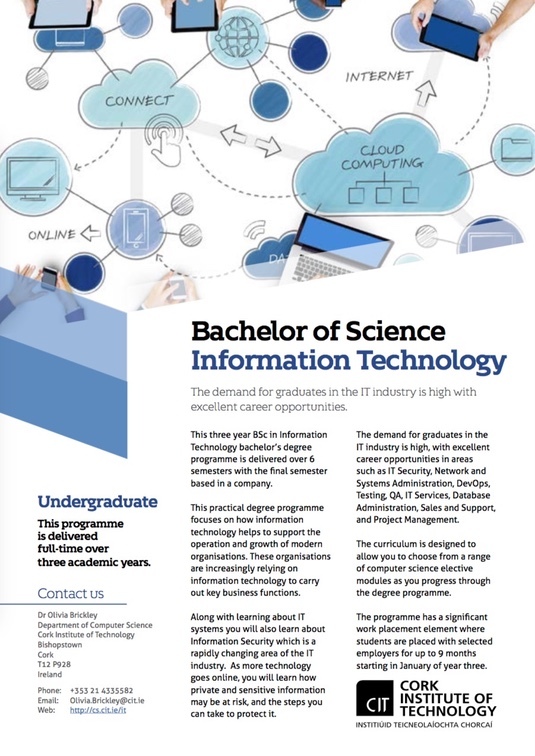 In Information Technology (IT), we offer one full-time level 8 honours degree programme and one level 7 degree programme. 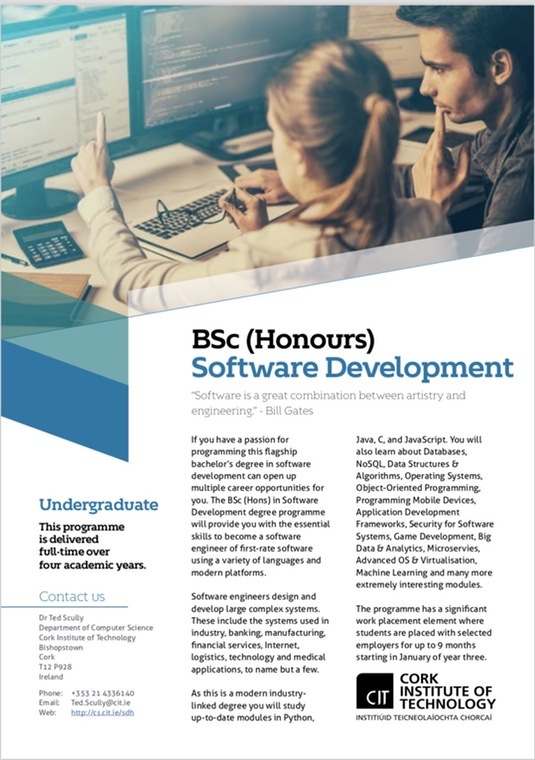 The Higher Certificate in Software Development is a level 6 programme which acts as a ladder to a level 7 BSc in Software Development degree programme. 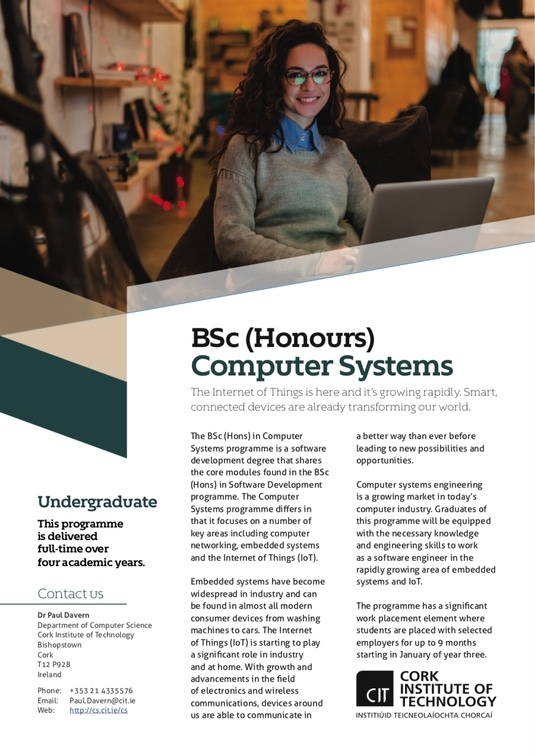 If you need a quick overview of each undergraduate programme please click on one of the images below to download a pdf flyer for each programme. The flyers offer a brief introduction to each programme and include full programme schedules. The schedules have hyperlinks to every module descriptor allowing you to get to all the information that you need.